Since 2016, volunteers in the Mayo handicrafters group have been creating distraction pads and other items that help reduce anxiety and agitation in patients. Most of the time, emergency calls come into the hospital. This time, it was the other way around. The Mayo Clinic gift shop had put out an SOS call to volunteer Vernida Maley. The hospital needed a distraction pad, STAT. Could Vernida deliver? Never fear. "I had two on hand, so I brought one in from home," Vernida, team lead for Mayo Clinic's handicrafters group, tells us. The emergency request was proof positive to Vernida that the distraction pads — initially designed to help reduce anxiety and agitation in patients who had traumatic brain injuries or strokes — were living up to their promise. The cloth pads feature zippers, buttons, different types of fabric, and other bells and whistles (so to speak), all aimed at keeping hands busy and away from IV lines, tubes and catheters patients sometimes try to remove when agitated or confused. Doing that can lead to complications and longer hospitalizations. 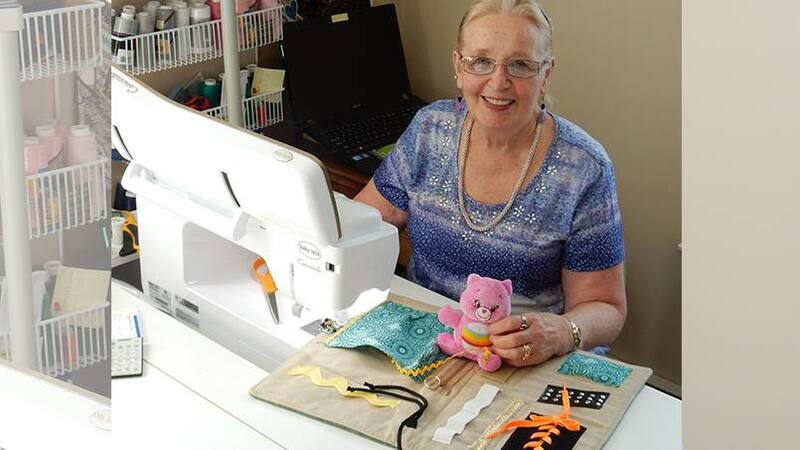 Vernida and other volunteer handicrafters started making distraction aprons back in 2016, after receiving a request from the Department of Neurology. Before long, they modified the design to a simple lap pad. "I love pulling together something they ask for and making it a reality," says Vernida, who estimates she's made around 30 of the "touchy-feely" distraction pads. Each takes her four to five hours to create. And while they all must adhere to certain criteria to keep patients safe, there's also plenty of room for creativity. Vernida adds some flair to her designs with a pocket containing a small stuffed animal attached to a string. She's also discovered a trick to creating a popular crinkling sound: Cut plastic squares from water bottles, then sew them between two pieces of fabric on the pad. The pads were such a hit in Neurology that other departments were soon asking for their own supply. The Pediatrics Department uses weighted versions to help calm patients who have autism. Occupational therapists have used the pads as therapy aids for patients relearning small-motor skills. Staff who work with patients who have dementia and Alzheimer's disease have put in requests as well. "The project has really taken on a life of its own," Lisa Brink, a manager of volunteers at Mayo Clinic, tells us. "It's surprised me how people have envisioned the pads being used in their areas." What hasn't surprised her is the way Vernida and other volunteers have responded to the requests. "Our volunteers are very passionate and committed to making sure the needs of the patient come first," she says. Mission accomplished, says Lorina Welper, a nurse who has seen the difference the pads can make for patients with dementia or delirium. "The distraction pads have helped some patients find moments of security and comfort in an unfamiliar place during an uncertain time for them," Welper says. "The volunteers who make these items for patients use their creative gifts to help those that are suffering. 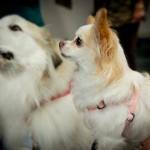 We so appreciate our volunteers and what they selflessly do for our patients." Use your creative gifts and leave a comment below before using the social media tools atop this page to share this story with others. I had seen these and bought some materials to try to make these but a pattern would be much nicer to attempt these to know what does and doesn't work. Can I please get directions for these. I would like to help out. Do they have to be sewen or can they be knitted or crocheted? Please email measurements and suggested materials. I've been wondering what to do with all my Beanie Babies…might work. Thanks millions!